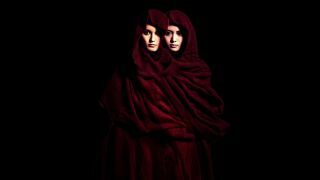 Today is Fox Day in the Babymetal universe – and they’ve used the occasion to announce that they'll release their third studio album later this year. The Japanese phenomenon have also announced that they’ll play two shows at the Yokohama Arena on June 28 and 29, and at Portmesse in Nagoya on July 6 and 7. But perhaps the most striking thing about today’s announcement is the fact that the promotion picture to accompany today’s news features just two of the band: Su-metal and Moametal, as it appears they’ve decided not to replace Yuimetal, who left Babymetal in October last year. On the same day that Yuimetal, aka Yui Mizuno released a statement about her departure, Babymetal released the single Starlight, and announced it was the start of a new beginning for the band.